I recently was offered the opportunity to try out a Snugg iPad Case and I jumped at the chance! Like many of you, I love my iPad 2 but my kids also enjoy playing with it on a daily basis. I think it's wonderful that we can share it (I'm serious! ); however, I also worry about the damage they are going to one day inflict upon it since they leave it on the floor, the couch, etc. I've had a variety of soft and magnetic covers which do offer some protection, but I've always wanted a case that offers just a little more security-- if you know what I mean. I also really like that the inside cover of the case has a flap which serves as a 2 position flip stand. All I have to do is hook the case under the small flap and my iPad stands up. Do I even need to tell you how wonderful this is for looking at recipes? There is also a strip on the insider cover that you can use to hold you iPad securely. And best of all, the cost of the case is only $34.99! There is no doubt that I love my new Snugg case for all of its features, but I also like that Snugg has a Lifetime Guarantee. You can't beat that! The website also offers a live help chat for any questions you might have. Snugg has more than just iPad cases. 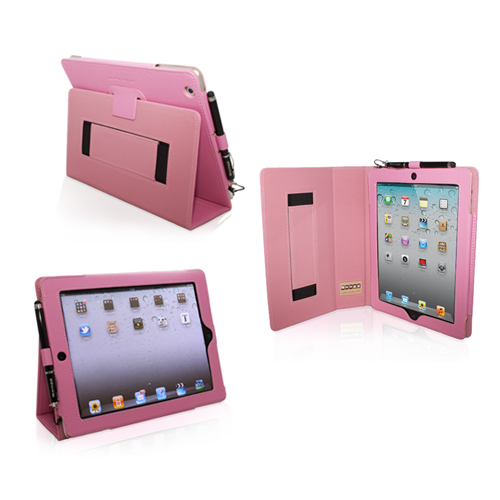 They also offer cases for Kindles, other tablets, and smartphone cases as well as a variety of other accessories. I really can't rave enough about how much I love my Snugg iPad case. Highly recommended! The stand does sound perfect for recipes or watching videos. I have a stand too although it is very basic; this one looks much more fun! Talk about perfect timing. I've been looking for a better iPad case for my husband (his current one is just average), and this one looks perfect. Thanks, Julie! I'm going to order him one as a surprise, I think he'll really like it. If I had an iPad, this would be the case for it I think.